The present paper offers a new approach to the construction of the coordinate asymptotics of the kernel of the resolvent of the Schrödinger operator in the scattering problem of three onedimensional quantum particles with short-range pair potentials. Within the framework of this approach, the asymptotics of eigenfunctions of the absolutely continuous spectrum of the Schrödinger operator can be constructed. 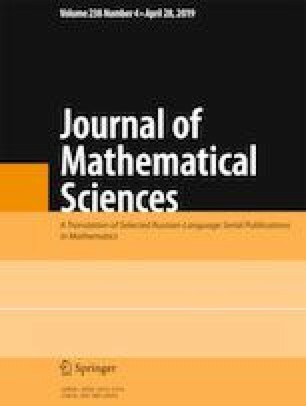 In the paper, the possibility of a generalization of the suggested approach to the case of the scattering problem of N particles with arbitrary masses is discussed. Translated from Zapiski Nauchnykh Seminarov POMI, Vol. 461, 2017, pp. 14–51.